Hello, my name is Katie and I was born/raised in the Midwest. In 2017, I graduated from Saint Mary’s College with a major in Psychology and minor in Early Childhood Education. After graduation, I lived in Indianapolis and worked as a Behavior Technician at a Center for Autism. 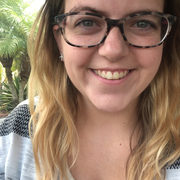 Recently, I moved to Florida and am interested in finding a family to help support through child care. Growing up with two older siblings and four younger siblings has helped shape my character and love for working with children. My past experience includes student teaching in a preschool/elementary, babysitting when needed for family/friends, working at the autism center and past work for a country club as the head child care provider. Also, I have experience helping with potty training, grooming routines and light housekeeping. I’m patient, dependable, kind and organized as an individual. Thank for considering me for this opportunity and I Read more look forward to hearing from you!